It’s a moniker lovingly bestowed upon Hermione Granger from early on in the massively successful Harry Potter series, and she has proven it to be true every step of the way. Her story is a true classic: triumph in the face of adversity. Not only is she the only female in her friend group, but she’s also the wizarding world equivalent of a racial minority with her Muggle-born heritage. She’s the underdog that rises admirably to every challenge thrown at her, proving that the drive to succeed far outweighs the circumstances someone is born into. 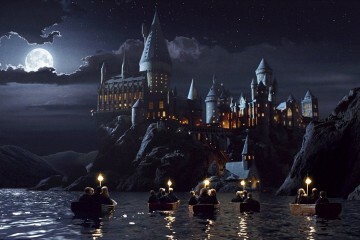 As of June 2011, the Harry Potter novels have sold over 450 million copies in Britain and the United States alone. It’s been, arguably, the book series that has most strongly defined the Millennial Generation. 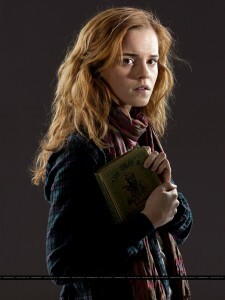 Hermione is the most prominent female character in the series. Whether intended or not, she’s an influential character in the lives of young girls. While she’s shown that women shouldn’t hide their intelligence or determination, it would’ve been even more powerful had she shown that it’s okay to screw up sometimes too. Hermione is intelligent, loyal, determined, and persistent—traits that allow her to see continued success throughout the series. There’s no denying that she’s a positive role model for young women, demonstrating that there’s more value in one’s strength of character than one’s appearance. While she has many admirable traits, there’s one thing missing from her story arc: failure. Failure is inevitable in life. You miss a deadline for an important college application. You get mixed up with the wrong group of friends. You damage a relationship with a prominent client at work. Slipups happens. Harry and Ron both screw up on a massive scale. In Harry Potter and the Half-Blood Prince, Harry’s desire to help in the fight against Voldemort causes him to become obsessed with Draco Malfoy, culminating in a wizard that leaves Draco slashed and bloodied on the bathroom floor. Ron’s defining mistake, on the other hand, came in Harry Potter and the Deathly Hallows. After weeks of fruitless Horcrux hunting, aided by the presence of the locket, Ron gives into his insecurities and abandons Harry and Hermione in a time of need. Both characters deeply regret these decisions. Harry chooses to finally rid himself of the Prince’s potions book and accepts his punishment from Snape without any complaints. 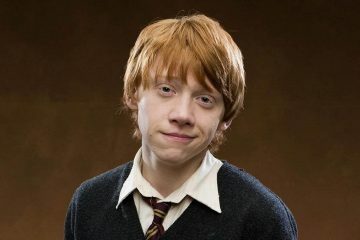 Ron eventually makes his way back to his friends after realizing he let his emotions get the best of him. Their failures had ramifications that affected others and reshaped the story’s plotline. Hermione, on the other hand, never disappoints anyone to this degree. She has minor missteps, sure. Her visions of launching S.P.E.W. fall flat, she accidentally used a cat hair in her Polyjuice Potion, and neither she nor Ron were particularly upfront about their feelings toward one another, resulting in plenty of teenage angst. These, however, were simple miscues that didn’t really affect anyone outside of Hermione herself. She doesn’t betray her friends. She doesn’t let her ego cloud her judgment. She doesn’t really fail at all—and that’s a shame. So with these lessons in mind, why was it that Rowling chose to make Hermione so untouchable? The pessimistic, surface-level answer would be that because Hermione is based, in part, on Rowling’s childhood self, she felt compelled to wipe away any scuff marks, choosing to remember herself in a narcissistic state of near perfection. I don’t, however, think that’s the case here. I think Rowling’s goal, especially as the series catapulted into mainstream popularity, was to simply provide young girls with a hard-working, intelligent female role model. 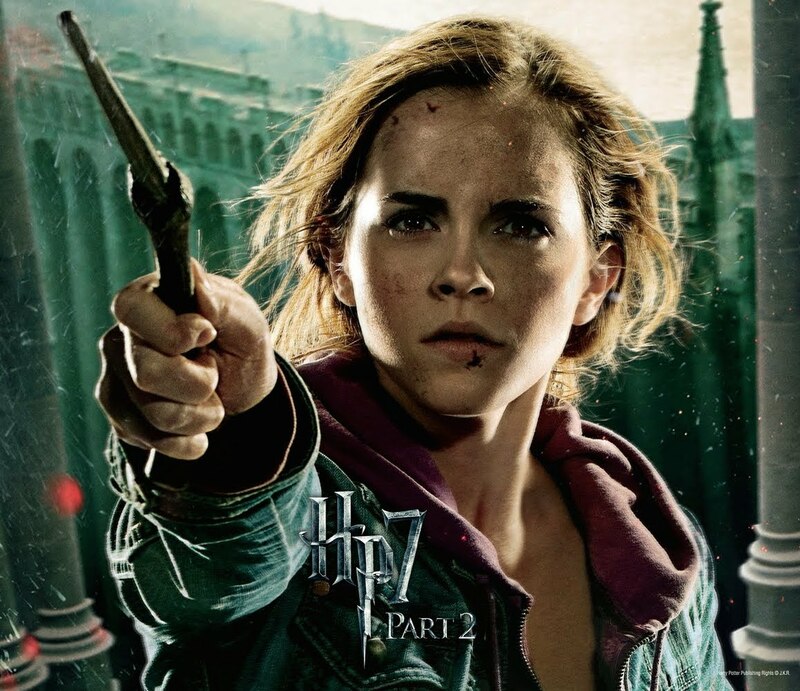 Hermione is the literary representation of a feminist Pavlovian experiment. Speaking up in class usually earns house points. She studies hard and is rewarded with good grades. 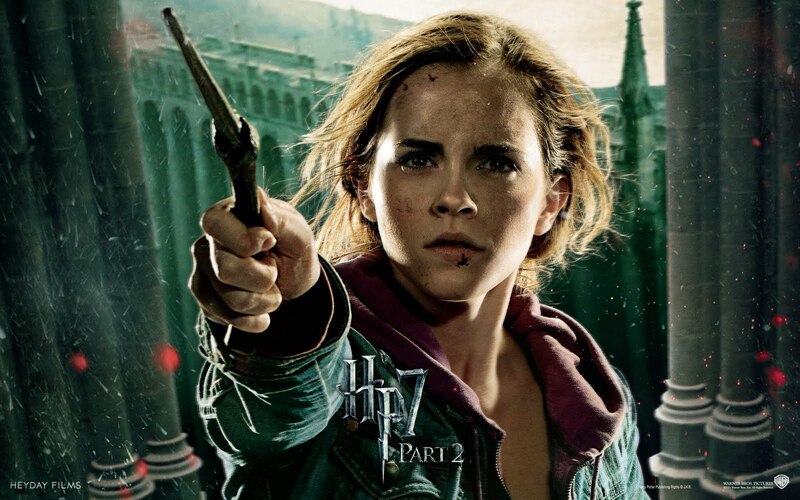 The audience is being conditioned, in a way, to associate Hermione’s positive attributes with success. I believe Rowling feared that deviating from that pattern and introducing a negative outcome would leave a bad taste in the readers’ mouths, perhaps even overshadowing all that came before. The fear of screwing up can be crippling, especially for women. A July 2013 article in Entrepreneur revealed that women around the world were more afraid of failure, on average, than their male counterparts, which the researchers involved with the Global Entrepreneurship Monitor 2012 Women’s Report believe is connected to the lack of women in leadership roles. 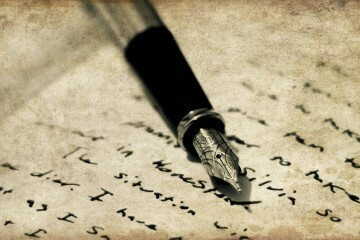 Fear of one’s shortcomings, in other words, has prevented women from taking risks and attaining their full potential. According to a 2010 grading analysis featured in The Washington Post, one of the reasons why women are less likely to pursue STEM fields of study is because they’re scared of mediocrity. Girls who get Bs in math are less likely to pursue a math career than boys who get Bs in math. Researchers claim this is due to a perception that women will need to work twice as hard in order to succeed in a male-dominated field and are, therefore, more likely to abandon those pursuits, stunting the potential diversification of the work force. What these young women need are role models to show them that there’s value in resilience. The path to success and happiness isn’t perfect, but overcoming setbacks is vital to sparking innovation. Allowing Hermione to make a false step—and recover from that letdown—would show young girls that even the perfectionists make mistakes. Everyone screws up—not just small, personal blunders but massive failures that affect the people around them. Her ability to recover from a setback would’ve demonstrated a new facet of her Gryffindor courage: the fact that merely trying is a success in and of itself. Images via Fanpop (1) (2) and Warner Brothers. Loved the article! In some aspects, I agree completely. However, that said, I am actually quite glad that Hermione never had any major screw-ups. I read these books from 11-17, when I was at my most insecure and making many of my own mistakes. It was comforting to me that I could look up to a girl who was my age who, despite her “minority” status, could be everything I wanted to be. Number 1 in the class, a loyal friend, unapologetically clever. That’s the Hermione I know and love! I definitely relate! The last book came out when I was 17 after I’d been reading them since elementary school, so I looked to Hermione as my peer, really. She’s the literary character I admired the most, and I’m glad there was someone around who never seemed to care whether or not she was cool. See, I really think that the analysis needs to step a bit further into the fact that Hermoine exists in this catch-22 of character development because the other female characters’ stories are pushed into the background, leaving Hermione to stand alone. With Ron and Harry, you can have one succeed while the other meets disappointment. Combine the extra pressure placed on girls with the fact that she doesn’t have an immediate foil, and you get the most impossible position for the most brlliant witch of her time. You make a good point! Question of curiosity: could you consider Bellatrix a foil for Hermione? In considering her relationship with Voldemort (though there’s questionable sexual tension on her side), she’s the closest female on the Death Eater side of the story to the villain, possibly making her a reflection of Hermione’s relationship with Harry? I wonder if Bellatrix is a result of misuse of intelligence and a warping of loyalty that Hermione possesses. We didn’t really see much of this dynamic in the book since it was in the past, but I wonder if, roughly speaking, Barty Crouch, Jr. might’ve been an evil kind of foil for Ron, demonstrating the danger of taking loyalty to the extreme. For me, that was Ron’s most prominent battle: how his insecurities meshed with his sense of loyalty toward his friends and family. It’d be fascinating to get more backstory about Bellatrix. I would guess that, given her family history and hints from Sirius, she likely always had a penchant for the Dark Arts, but who was she before she became part of Voldemort’s inner circle? 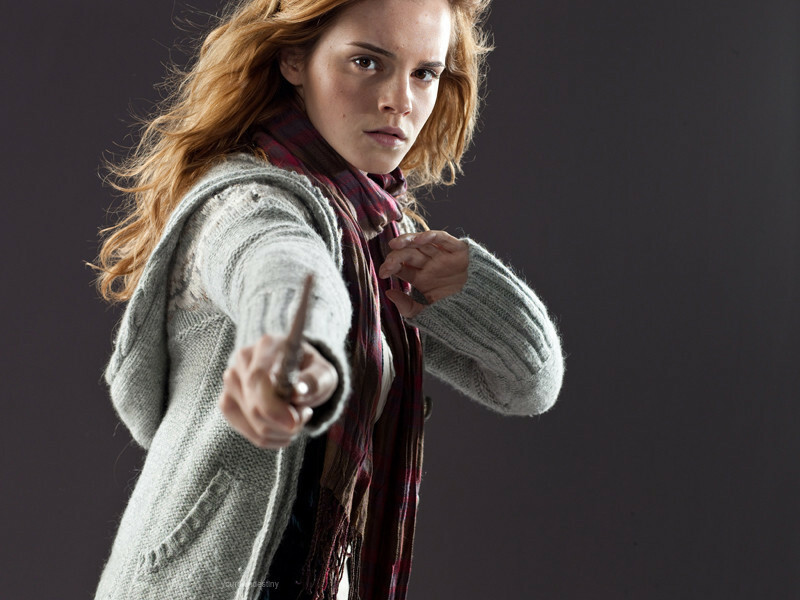 Would her 15-year-old self be more like Hermione than we’d expect? That’s an interesting point! I wonder how her storyline might’ve altered if a second female character was added into the friend group–perhaps if Ginny had been integrated more firmly into the mix at an earlier age. I think you might be right in that Rowling may have then felt more at liberty to expose Hermione’s faults. 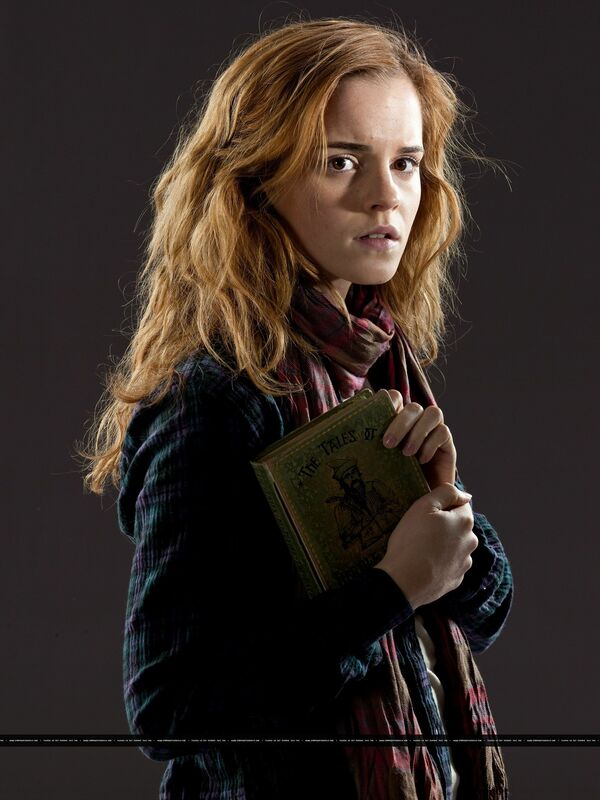 While there were other secondary female characters readers could relate to, Hermione was by far the most developed. By that token, I wonder how the series might’ve been different had it not become a huge phenomenon. Without the admiration of millions of young readers, maybe the lack of a foil would’ve been less of an issue. Thanks Jessica! It would’ve really been interesting to see how Hermione’s character would’ve changed had she really been put in her place. Even Dumbledore, another all-knowing character, admitted his mistake in not helping Harry with his occlumency in book five, and it was nice to see him actively changing his approach in book six. I would’ve loved to have seen a similar sort of evolution for Hermione. However, that outcome was obviously not what she intended and it was a result of an action that went wrong. Whether she “made a mistake” or not she obviously screwed up. And this screw up did have a huge impact on Harry, in that he lost something essential to the life of a Wizard. It is his tool for doing most everyday tasks, his protection, and his weapon. In the magical world, you pretty much can’t function without a wand. To a certain extent, she might as well have accidentally cut off his arm. Now granted, he could borrow her wand, but then she was without protection, etc. One of them was always unprotected and dependent on the other. And at that point, with him as Undesirable Number 1, there was no easy way to get him a new wand. 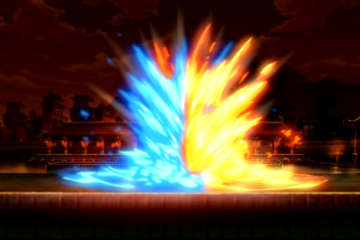 On top of that, and he lost something special he was counting on, the protection of the twin cores. There is a lot of text talking about how vulnerable he felt without his wand in general, and how he didn’t realize how much he was counting on the twin cores when he inevitable faced Voldemort again. Until he won Draco’s wand at Molfoy manor (that changed its allegiance and so worked better for him), and then discovering the information about the elder wand, Harry spent months anticipating going into battle with the greatest dark wizard of the age with no wand, and then with the blackthorn wand that didn’t work right for him. He was going into battle with a substandard weapon. So that seems to be a big impact on Harry. Another thing that differs here, besides the mistake being based on an accident, that may make the way the book portrays the situation, is that the actions she takes to try to remedy the situation are not really framed in a way that shows what a big deal they are. Harry gave up the book, Ron had to make the effort to come back and apologize, but she attempted to fix the broken wand. She is shown trying to repair the wand and failing, and then that was it. However, she ends up doing something that is glossed over, but is still pretty significant. She shared her wand, which for all the reasons mentioned above is actually a pretty scary thing for her to do. It leaves her without control and without a certain level of protection. But that act is not framed as her doing something hard and scary to help remedy the fact that she broke the wand. The negative impact on her was not as overtly portrayed as Harry dealing with the fact that he had hurt Malfoy seriously, or Ron hiding from his family in shame because he walked out. She might have felt extremely vulnerable and anxious any time Harry had her wand, but since she is not narrating, we do not get to hear those thoughts and her sharing her wand seems almost a casual act. Given the circumstances, I can’t imagine being without a want for a second, feels safe. Even when you are with someone you know will try to protect you, someone as adept and in control as Hermione generally is would feel out of control in that kind of situation. The other element that this situation lacks that the other has is that there is no act of punishment. Punishment is a way to portray that something has consequences, but also a way for readers seeing the character earning absolution, or at least somewhat making up for, for their action. Harry was punished by Snape. Ron was punished by Hermione. However, Hermione doesn’t get a similar form of punishment. Harry, being the person that he is, didn’t punish her overtly. This could have been based on a variety of reasons, including because he knew it was an accident, because he only had her for company and support and fighting with her didn’t seem worth it, because once he got out of his angsty teenager phase (basically all of book 5) he is a decent person and tries to forgive, and because he knew that she felt terrible and was likely punishing herself. But again, without that process of doing something and accepting deserved punishment, it is more likely that we as readers do not interpret that action as being the same kind of mistake as those that Harry and Ron made. So there are my thoughts. It is not a completely similar situation, but I think it has some similar elements. I’d love to hear what you think. That’s an interesting point, Sarah! I’m just finishing up a series re-read now, and I hadn’t gotten to the part yet where she breaks his wand and had temporarily forgotten that that even happens. I do remember feeling such a sense of foreboding when I first read the section where Harry leaves Hermione unguarded to follow the doe. I was so sure that leaving her alone without a wand was going to turn out to be disastrous. I think you’re right in that the punishment in this case was mostly internalized by Hermione. Her entire persona of being a perfectionist was grounded in her desire to consume knowledge and prove herself in a world where, as a Muggle-born, some would say she doesn’t belong. So perhaps Rowling was less willing to outwardly punish her when she was certainly chastising herself to an even greater degree. One other difference I do see with this scenario is that her error wasn’t due to a fault in her character. Harry let his hubris get the better of him when thinking he could catch Draco and when trusting the Half-Blood Prince to the extent that he did. Ron gave into his insecurities and frustration instead of having patience and understanding toward Harry and the difficulty in tracking down the Horcruxes. Hermione, on the other hand, broke Harry’s because she was trying to save their lives. Her mistake came from a good place, which is the big difference for me. It was less of a poor choice than an unfortunate consequence. It was certainly a devastating moment in the book though–especially the first time I read through it–since it amplified the potential for disaster. I’ve always thought Hermione dealt with decent amount of really relatable failures, and that one of her defining characteristics is her resilience in the face of those failures. She deals with social isolation when she has no friends in the beginning of Sorcerer’s Stone, taking on more than she can handle and letting things slip through the cracks with the time turner, trying to make a positive change when no one takes her cause seriously with S.P.E.W., the list goes on. And let’s not forget about the multiple carefully laid-out plans she comes up with in Deathly Hallows that completely unravel and put everyone in danger within minutes of starting – infiltrating the ministry, stealing from Gringotts, etc. The great thing about Hermione, though, is that even though she faces all these failures – big and small – she never lets them deter her from her goals and she never lets them have a lasting effect on her psyche. She learns from them and she grows from them, but then it’s off to the next challenge. I’ve always thought of her as a great role model for how to continually persevere, no matter how many failures or setbacks you face. Also: there are so many characters who deal with big failures in this series. Snape’s character arc alone is a fantastic example of regret and redemption. Hermione is a phenomenal character, but we can’t focus so much on how wonderful she is that we forget to be inspired by the rest of the cast of characters JK created. Thanks for commenting, Sarah! It really is wonderful to see such a depth of characters in the series have such complex and thought-out back stories like Snape and Dumbledore. I’ve also very much admired Hermione’s determination and perseverance. When she faces these small set-backs, she doesn’t let that deter her from achieving her goal, which is a great lesson for young readers. I think both this post and my fellow commenters make really good points. Hermione didn’t have a substantial, story arc-turning failure (breaking Harry’s wand notwithstanding, since that was accidental though still devastating), but that’s not to say she never failed in the series. Her failures were much smaller and more relatable than Ron’s and Harry’s, and they mostly affected herself — hence why they didn’t get as much play in the books. Most of Hermione’s failures were social: She didn’t consult Harry about his Firebolt possibly being a trick to kill him by Sirius before telling McGonagall, leading to her estrangement from the boys, and she continued to defend Crookshanks when it appeared he had eaten Scabbers. Her practical nature overrode her emotional attachments to her friends, leading to her being a loner for a while. Even for Hermione, that kind of social rejection as a young teen is rough. And it’s certainly a relatable failure. 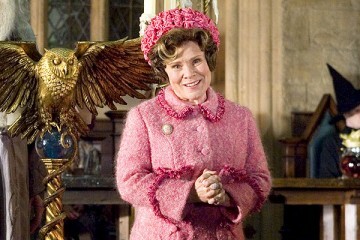 But we never get to see how she dealt with it, except when Hagrid tells the boys she’s having a really tough time of it. Everything turns out okay for her, though, so it wasn’t a permanent failure, but it certainly would have had quite an impact on her. Maybe it’s not the kind of failure J.K. Rowling had in mind during her Harvard speech, and maybe it would have been beneficial for Hermione to struggle in a school subject or have some sort of larger screwup, but she did fail to a certain extent in a way that would have affected her greatly. Really good, thought-provoking article, though, and you make really good points. Keep up the awesome work! Thanks for your comment, Hannah! That’s definitely true that a lot of Hermione’s small-scale failures were primarily social. It would’ve been interesting to see more about how she dealt with the Firebolt fallout. I’ve always been especially curious as to what her relationship was like with the other female Gryffindors and if estrangements from Ron and Harry might’ve ever pushed her to try to socialize with them (or students from other houses) or simply drive her even deeper into her own studies. Perhaps if we were able to have seen her point of view, somehow, instead of Harry’s, her smaller failures might’ve actually seemed much larger. Harry’s not the most perceptive when it comes to understanding women’s feelings.